Shirts With Random Triangles: Florida high school rising junior quarterback Felipe Franks commits to LSU's 2016 recruiting class. 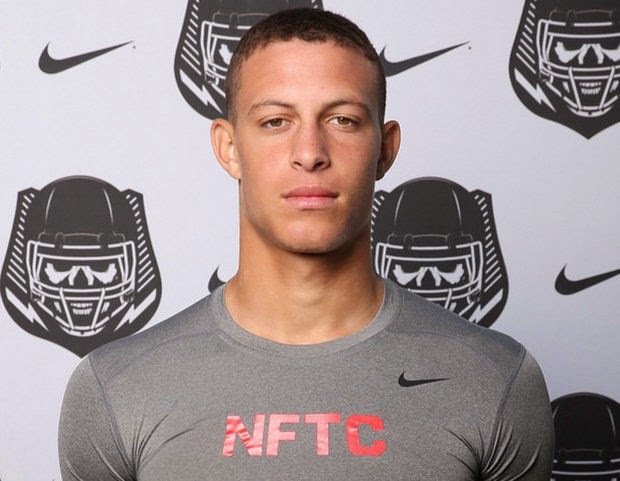 Florida high school rising junior quarterback Felipe Franks commits to LSU's 2016 recruiting class. Felipe Franks. Photo via New Orleans Times-Picayune. Recruiting for 2015 is kicking into high steam. That doesn't mean that schools aren't looking ahead to 2016. LSU received a class of 2016 commitment from Crawfordville, Fl high school rising junior Felipe Franks. Franks attends Wakulla High School in Crawfordville, Fl. He stands 6'6", and weighs 205 lbs. He is the second member of LSU's 2016 recruiting class.